M is about more than just one man however. 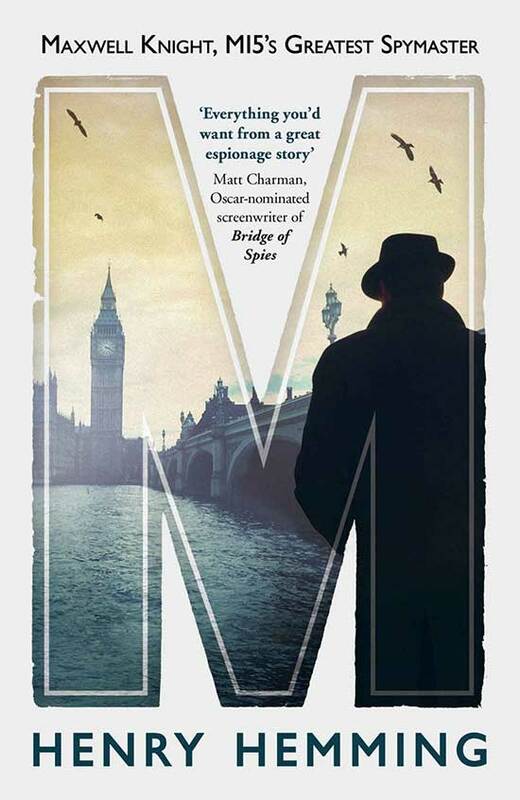 In its pages, Hemming reveals for the first time in print the names and stories of seven men and women recruited by Knight, on behalf of MI5, and then asked to infiltrate the most dangerous political organizations in Britain at that time. Until now, their identities have been kept secret outside MI5. Drawn from every walk of life, they led double lives―often at great personal cost―in order to protect the country they loved. With the publication of this book, it will be possible at last to celebrate the lives of these courageous, selfless individuals. Henry Hemming is the author of 'Misadventure in the Middle East', 'In Search of the English Eccentric', 'Together' and most recently 'Churchill's Iceman', published in the US and Canada as 'The Ingenious Mr Pyke'. For more visit: henryhemming.com.